OK, only a short while longer. I never know where to put a wallet. It’s too fat to wear in my back pocket (I’m told doing so can cause back problems, anyway). It falls out of coat pockets. What’s more, I dig through at least three pouches to find the right card each time I go in, even though I try to keep cards in the same place. And I’ve had the same wallet for so long that the black leather has spawned green. What’s the alternative? Money clips? Those don’t hold cards reliably nor make it easy to manage cash. So, it’s not the worst problem in the world to have, but every man has dealt with the hassles of a cumbersome wallet. Tribe Wallets offers a wallet that’s distinct, practical, and striking. 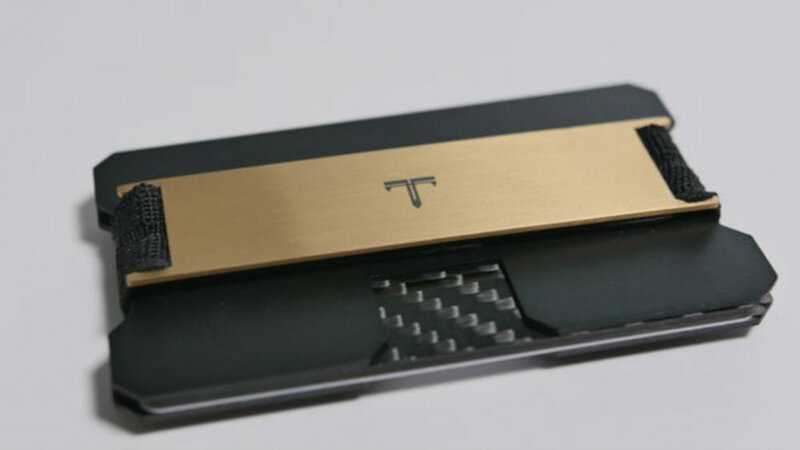 Dubbing itself “the world’s sexiest minimalist wallet,” the design stands out immediately. Instead of leather or synthetic material, Tribe uses the likes of titanium, stainless steel, and kevlar/carbon. 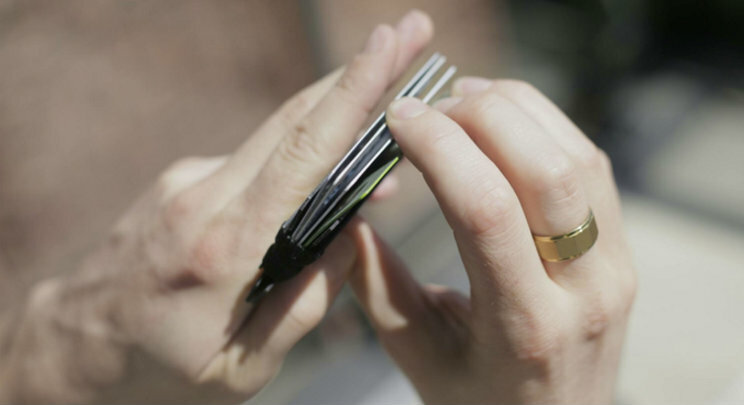 The Tribe wallet is made of two slim plates, held together by a sleek bar. A push-and-pinch system raises then fans cards for easy access. Bottom line: it looks and works unlike any take on the wallet I’ve seen. The slot at the bottom where you push up your cards also serves ingeniously as a groove to prop up your cellphone. I rarely, if ever, use the adjective I’m about to use: it looks really cool. So, take that for what it’s worth to you. As someone – like most guys I know – inclined to use a wallet until no amount of tape or rubber bands can justify its use for transporting money, I appreciate that Tribe is built for longevity and style that doesn’t wear out. I’m not the only one excited by this modern redesign. As of this writing, Tribe Wallets has already received nearly nine times the amount sought after in a Kickstarter campaign. Bravo! Ready to ditch the luggage you’ve been hauling around or give a dude in your life a sharp gift? Look no further than Tribe Wallets.